Secret Concealer covers dark circles, discoloration and other imperfections with medium coverage and a natural finish. Ideal for all skin tones, it leaves the entire eye area—and your whole face—looking brighter and more youthful. The longwearing, creamy formula leaves eye skin feeling richly moisturized and won't settle into fine lines. 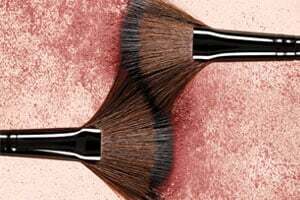 Apply under the eyes and on the outside corners using the Secret Camouflage Brush (sold separately) or the tip of your ring or pinky finger. Use a gentle, featherlight stroke and remember that a little goes a long way. Set with Secret Brightening Powder For Under Eyes. INGREDIENTS: PETROLATUM, LANOLIN, ISOPROPYL PALMITATE, PARAFFIN, PROPYLPARABEN, CANDELILLA CERA/EUPHORBIA CERIFERA (CANDELILLA) WAX/CIRE DE CANDELILLA, RETINYL PALMITATE, GLYCINE SOJA (SOYBEAN) OIL, TOCOPHEROL. MAY CONTAIN/PEUT CONTENIR/(+/-): CI 77891 (TITANIUM DIOXIDE), CI 77491, CI 77492, CI 77499 (IRON OXIDES).